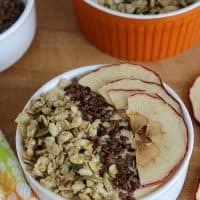 Easy Pumpkin Smoothie Bowl topped with apple chips, flax seeds and granola! I am honored to be a Stonyfield Clean Plate Club Member. This post is in partnership with Stonyfield and Nature’s Path. As always, all opinions are 100% my own. Thanks for supporting the brands that allow me to share quality content and recipes with you! It is not secret that I have a hard time with breakfast. My kids this week actually asked me when I was drinking my coffee if that was ALL I was having for breakfast. I said of course not! But I am not able to eat first thing in the morning. I need my time. So as the morning goes on I start to fill hungry and look for something healthy. I keep a lot of yogurts in my fridge for just these times. 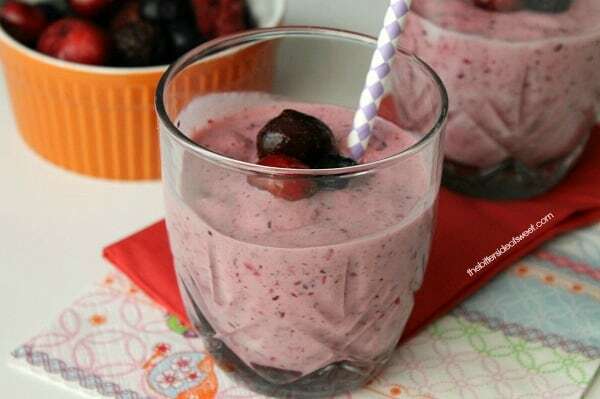 One things I love to make are smoothies. I tend to do these more for the kids in the afternoons but I thought why not have one for breakfast! This was exactly what I was looking for. 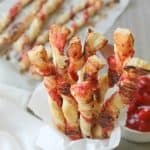 Something quick and easy and would definitely hold me over till lunch! Win win for sure! I had the chance to try some Pumpkin Flax Seed Granola from Nature’s Path is it was so delicious! 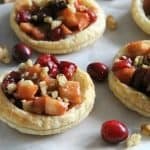 Great for add some fall flavors into your diet this time of year! And don’t forget your Stonyfield Greek Yogurt! I am kind of obsessed with it and can’t get enough! ENJOY! 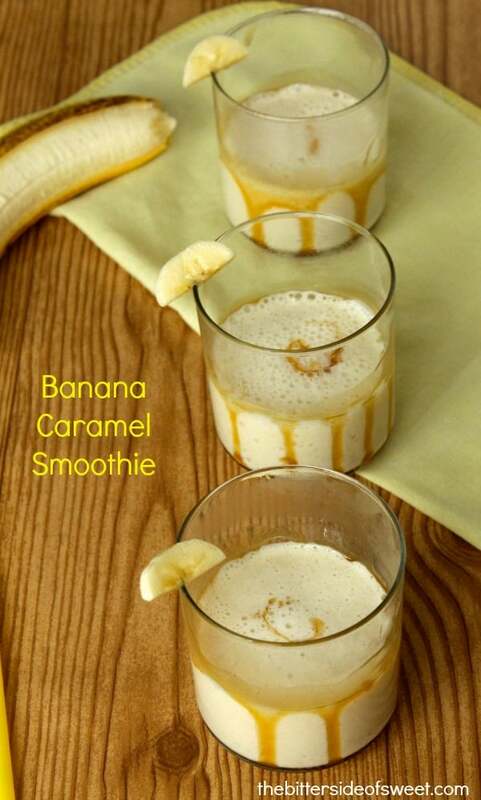 Add pumpkin, cinnamon, sugar, yogurt, milk and banana to blender. 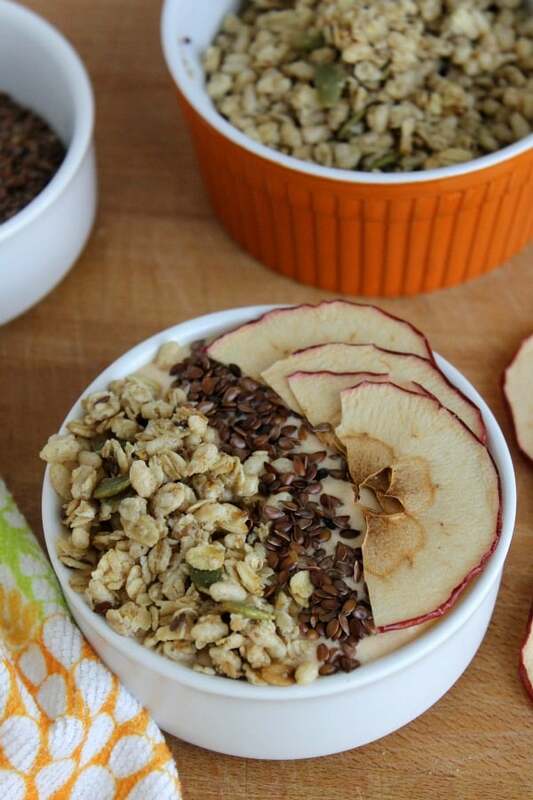 Pour into bowl and top with granola, flax seed and apple chips. 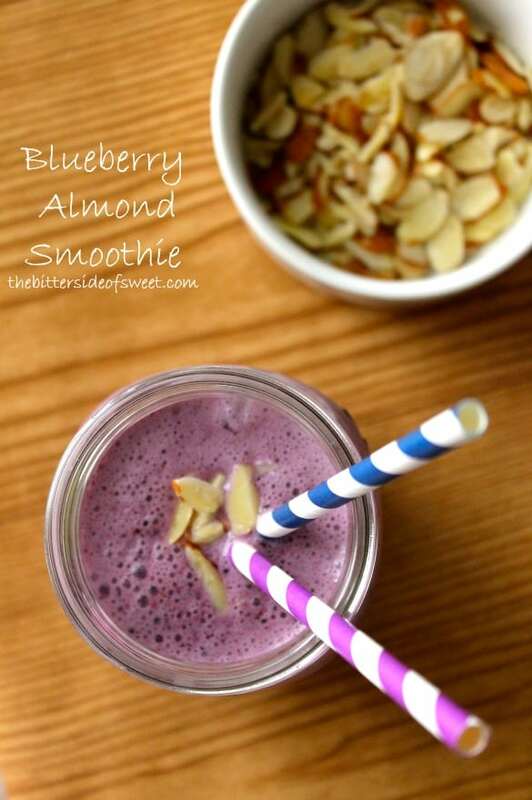 Healthy and delicious – that’s always a winning combination! Smoothie bowls are my new breakfast BFF. I bet a pumpkin variety is fantastic! The apple chips on top are a sweet touch. I really need to try smoothie bowls and will start with this one! This looks like a great way to start the day! 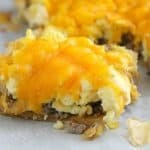 I am not much of a breakfast person but this looks like an awesome breakfast…so healthy! I could go for this! I have to force myself to eat breakfast but I am glad when I have these options! Nature’s Path is my favorite granola, and using it as a topping on a smoothie bowl is such a great idea! 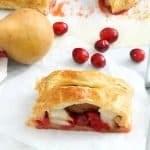 This is the perfect fall breakfast! I know what you mean! I have to ease into the morning, too. Coffee first…something more later. 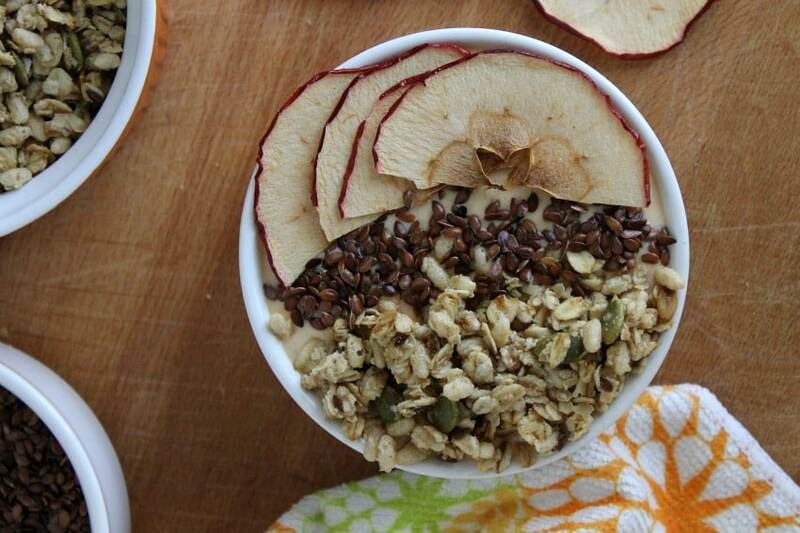 And this smoothie bowl would be the perfect something more! Delicious! Smoothie bowls are my favorite. I can’t get enough of them. 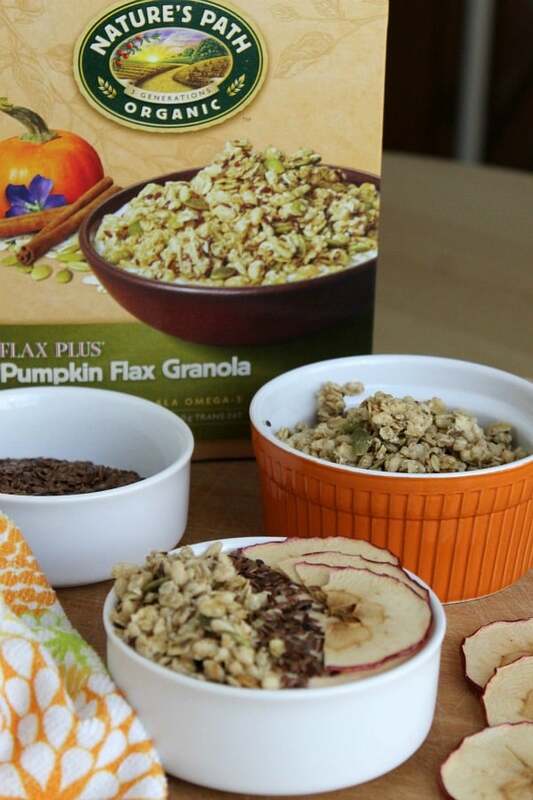 I haven’t tried the pumpkin flax granola, but it looks tasty! I’m reading this post as I am sitting here with my morning cup of coffee…how appropriate! I’m always looking for new yogurt toppings, and I am totally digging this flavor combo. I think it needs to appear in my kitchen in oh, maybe 30 minutes or so. As soon as I’m done with my coffee…haha! The flavor combination was the best! Thanks David! I sometimes wish I couldn’t eat first thing in the morning. I wake up ravenous! Lol. Totally ready to devour this yummy smoothie bowl!! Ha! 9 am hits and I am totally like that!